So you decided to get yourself organized and sort through those piles of paperwork. One major question comes to mind that you'll ask yourself over and over: "is it ok to throw this away? How long should I be keeping records?" Good question! Let's find out just how long you need to keep all that paperwork. Here are some guidelines compiled from various sources to follow when organizing your files in terms of what you need to keep and for how long. I found some inconsistency with some of these categories, so I chose the longer times just to be safe. Auto Records Keep everything related to your car from the day you buy it until you no longer own it. Bank Documents Regarding keeping records related to banking, it is recommended to keep bank statements for at least one year, but if they're tax related you will want to keep them for seven years. If you get checks back from your bank, be sure to keep the tax related ones for seven years and shred the rest. Transaction receipts can be tossed once they clear on your next bank statement. With online banking, you can retrieve a lot of these documents that way if you should ever need them. Bills The general rule is to hold on to them for six months to a year. At the bare minimum, keep your bills until the previous payment is verified. And if you cancel a service, you will want to hold on to the final bill for a couple years. Medical bills you may want to hold on to for one year in case of any issues with insurance. Credit Cards There were a lot of opinions about this one. Hold onto statements for seven years if they document any tax related items. Otherwise, you can dispose of them after one year, or even monthly once you've verified it. Nowadays, it's quite easy to get these statements online if you were to ever need them. Credit card receipts can be tossed after they show up on your monthly statement. You should keep any receipts that are tax related for seven years. Loan Papers Keep all receipts for loan payments until the loan has been paid off, and keep the final notice of full payment forever, just in case. Paycheck Stubs Keep your paycheck stubs until you get your W-2 for the year. If they match up, you can dispose of the stubs. House Records You should keep everything related to purchasing your home until six years after you no longer own it. 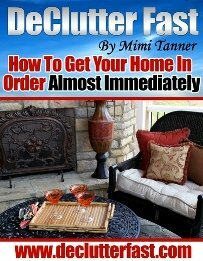 For tax purposes you will want to hold on to receipts showing all costs of buying and selling your home including legal fees and real estate commissions. Home Improvements Keeping records about you home improvements is important. Hold on to receipts for permanent work done on your home (additions, remodeling, installations) which can help with taxes when you sell. Keep them for six years after you no longer own that home. They are also necessary if you need to call in some warranty work on a job that was done. Insurance You do not need to hold on to insurance documents for an expired account that has been replaced or lapsed, and you know you definitely won't be placing any more claims, and there are no outstanding claims. This goes for homeowners, renters, auto and health insurance. If you made a claim, it's suggested that you may dispose of those papers a year later. If you received a payout however, you will want to retain that paperwork for seven years, for tax purposes. Investments Taxable investment accounts suggest you to keep your statements showing purchases, reinvested dividends and stock splits for the life of the investment, plus seven years. You'll need these to calculate your taxes. 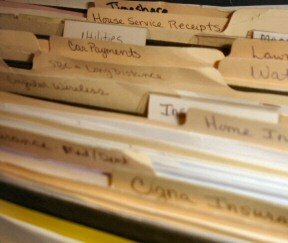 Other paperwork can be discarded once checked against your monthly statement and 1099 tax forms. Retirement Accounts You only need to keep the annual summaries for your 401K plans. Keep the quarterly statements until you receive the annual statement and then you can purge those. Keep the annual summaries until the account is closed. IRA Contributions You will want to keep records of nondeductible contributions permanently to prove that you already paid tax on this money when you do make a withdraw. Taxes The easy rule of thumb is to hold onto copies of your tax returns and supporting documents for seven years. Check out the IRS website for additional information. Wills and Estate Plans You definitely want to keep current copies of wills and estate plans. Old versions should be destroyed once replaced with a new version. Hold on to any estate or trust tax return that's been filed. Instruction Manuals Keep these for as long as you own the product. Hold on to receipts for any large purchase items such as furniture, appliances, etc. They will be useful if you suffer loss or damage and should need to make an insurance claim. They will help you to prove ownership and the value of the items. You will also want to hold on to them for warranty purposes.